Musical superstar Johnny Cash was an international legend for half a century, with a distinctly recognisable voice and style. This musical theatre production is an energetic and powerful performance that traces his life story and celebrates his famously enduring love for June Carter. Vocalist, writer and musician Barry Ferrier is joined by a team of talented performers to bring the legendary Cash and Carter repertoire to life with hits like “Folsom Prison Blues”, “Ring of Fire”, and “I Walk the Line”. Explore your neighbourhood this spring and take the time to celebrate, be entertained and indulge at the 4th annual Spring Retirement Festival. You’re sure to love this years’ program filled with music, food, fashion and more. 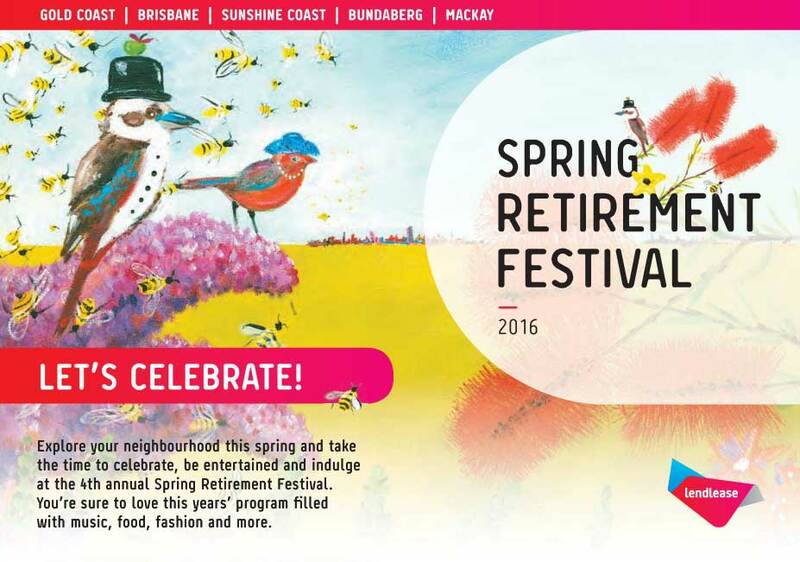 Bookings are essential and can be made by going online or calling the Spring Retirement Festival hotline on 1800 550 550.